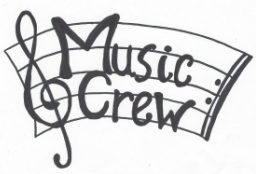 Boys & Girls Club Music Crew! Congratulations to the Music Crew (Osolo's Bobcat Choir + Beardsley's Let it Shine choir) for their performances at Goshen College and Osolo Elementary! They were excellent hosts and singers! Check out this wonderful article by Lydia Sheaks of The Elkhart Truth--and James Buck's excellent photos of the Osolo "Bobcat Choir" kids! The article details a few of the programs offered to Elkhart Boys & Girls Club kids by the 21st Century Community Learning Center grants, one of which is the choir program that is offered at both Beardsley and Osolo Elementary schools. You can read the article here, or find a link to it on the Facebook page of the Elkhart Boys & Girls Club.